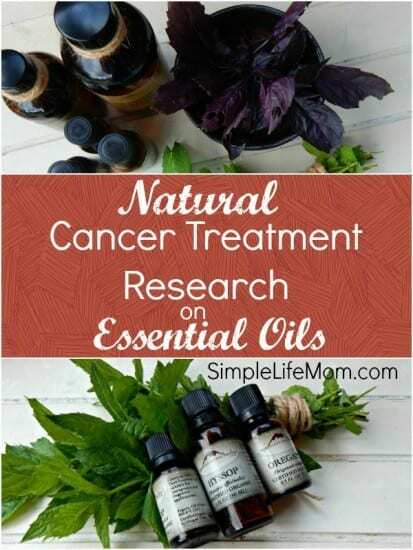 I have to start this article by expressing that I will give you information on natural cancer treatment research concerning skin cancer and the tremendous impact of essential oils. I will express my experience and my opinion as well. In no way are my health comments approved by the FDA, there are many various cancer treatments out there for those who have cancer to try. This is for you to hear my story and to spur you along toward the possible options available to you. A lot of you know that I grew up in Africa. This was before the huge warnings against sunburns, and I was burned badly a number of times. I remember lying on my bed with fans on me as my entire body was on fire. Well, now we know what damage can be done that can only be seen years and years later. In the past 5 years both of my parents and my brother have had various kinds of skin cancer that has had to be removed. Someone very close to me has had it pretty bad. He used a topical cream used to kill all abnormal cells, leaving a wound to be replaced by good skin cells. This is generally used these days for people who have large areas of damaged skin cells (not all necessarily cancer). It seems to have worked very well, but it sometimes needs to be done multiple times to make sure you really get rid of everything. From what I have read about it, it seems a viable option for some. Bad cells are usually filtered out of our bodies by our amazing various systems. Cancer cells seem to not be attacked and eliminated from our bodies, but are allowed to remain and multiply. Those bad cells shut down our natural defenses against them. From what I understand, this cream kicks those natural systems into high gear, targeting those bad skin cells so they are effectively burned out and replaced by new cells. As for me, last year I got a spot on my forearm. Different from any spot on my body. You know when something looks odd, even if you have freckles like me. It was almost the size of the top of a pencil eraser. I was advised to ignore it. After some time it got sore, healed, sore again, healed, then pealed and got dark. I wish I took pictures, but I didn’t. Instead, I began to place essential oils on it twice daily. My regime: I began to place high quality frankincense and thyme essential oils on the spot twice a day. Just one drop of each. My results: within 2 weeks the spot became light pink. Another 2 weeks, and it became a light scar. Currently it is completely gone. I am still going to a recommended dermatologist to have it checked, as I would advise anyone who suspects something on their skin. Dr.: It’s a skin spot. Me: But is it damaged skin? Me: So, the skin cells are damaged? Why is it coming out now? Dr.: It had to come out sometime. Why not now? Me: Well, what can I do to help it? Dr.: We can bleach it, inject ——- into it, or inject it with ——, which are all different kind of chemical bleaches. Me: But……if they’re damaged skin cells, isn’t there something I can do to help those cells heal, instead of just covering them up, something natural? I swear, that’s exactly how it went! I was in bizzaro world for 20 expensive minutes!! This is why I said, find a recommended dermatologist. You might be interested in checking out someone like skin five dermatologist if you have any questions you want to ask. My parents have a wonderful Dr. – They do exist (Though I am not sure he knows anything about natural remedies, I know he will take me seriously and look into whether something is a real threat or not.). Essential oils, like other things in the world, are made up of molecules. Molecules are bonded atoms. Each oil contains different elements, giving each oil different properties. Not only this, but when oils are combined there is something called a synergistic effect. In other words, if you have 10 particular types of molecules in one oil combined with 6 types in a second oil, some may over lap, some may not. There is addition and multiplication. There has been more and more investigation into the direct aspects of certain oils over the past few years. There hasn’t been a lot of long term studies, because frankly – it’s not big money for the large pharmaceutical companies. But recently the interest in natural remedies from the public has demanded more attention be given to such powerful natural elements like essential oil. One of these molecules in some essential oils is monoterpene. What has been studied concerning other aspects of essential oils? I could go on and on and on. Check out the article: Pharmaceutical and Therapeutic Potentials of Essential Oils and Their Individual Volatile Constituents: A Review. It is pretty technical, but full of great resources and information. 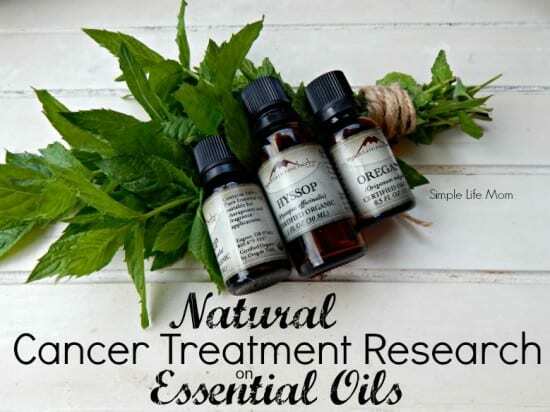 The point is that there IS scientific evidence out there suggesting the powerful impact of essential oils on various cancers. The reason why they are not used every day in our hospitals…well, that’s another discussion. You can come to your own conclusions on that. Knowing this about these two oils, I chose them…and my educated choice has paid off tremendously so far. This has opened up a world of hope for me. Those close to me have just started using frankincense and thyme on their troubled skin spots as well. As for now, have hope! Again, my purpose in writing this to you is to demonstrate that there is research (real research, not just something us crazy crunchy folk believe in), and that this research is gaining more support as more of the public demands for it to be done. I do not want to give you a set of things to do, but merely get the ideas flowing. Check out the links, do some research, see a reputable dermatologist and naturaopath (prevention is key), and above all….have hope! Henderson C, Smith A, Ure J, Brown K, Bacon E, Wolf C. 1998. Increased skin tumorigenesis in mice lacking ?-class glutathi-one S-transferase. Proc Natl Acad Sci USA 95: 5275–5280. Milner JA. 2001. A historical perspective on garlic and cancer. J Nutr 131: 1027S–1031S. Parija T, Das B. 2003. Involvement of YY1 and its correlation with c-myc in NDEA induced hepatocarcinogenesis, its prevention by d-limonene. Mol Biol Rep 30: 41–46. Zheng G, Kenny P, Lam L. 1992. Inhibition of benzo[a]-pyrene-induced tumorigenesis by myristicin, a volatile aroma constituent of parsley leaf oil. Carcinogenesis 13:1921–1923. This is so timely! My mom was just told she had a suspicious spot or two on her skin, and to just wait and see what happens. Do you use the frankincense and thyme undiluted on your skin? I do. My mom does on her face, but she said it was burning on one area so please use caution. Dilute if it does not feel comfortable. Red thyme is very strong. I’ve been sun burnt so many times, I’m sure something will turn up eventually. Thanks for the research! I’ll know just where to start. Thank you Jennifer. I hope you never have to use the information, but maybe you will be able to help someone else. I recall hearing before about Frankincense having benefits with treating cancer, I love that you’ve included references here to back that up! Exciting! Thank you Katy. Yes, it’s great to have more and more groups doing in depth studies to back up what people have found traditionally for years. I’m so sorry Heidy! I can’t even begin to imagine…That’s so sad. I have two people in my family besides my parents who are going through chemo and radiation right now. That’s why we’re looking even more into prevention and natural remedies. Thank you for sharing. God bless you! This is so interesting to me. I have suddenly developed freckles after not having any, with two very large ones that are concerning to me. This gives me a great place to start. I also love that there is more research these days, backing up some of these more natural remedies. Especially if there is cancer in your family, it’s good to keep an eye on your skin! Super helpful info, Kelly. Essential Oils are amazing. They really are! I’ve learned SO much this past few years and we’re more healthy than ever. Interesting research going on in this area. Thanks for sharing! Your welcome Lydia. It’s exciting to see the support coming out on more natural remedies. I like to use natural remedies whenever possible, this oils sound great, thanks for sharing! Glad I could help Joy. Thanks for stopping by. Interesting. I have been interested in trying natural oils for a while now. Thanks for the information. I have a lot of other information on essential oils. Check out my Health tab and Essential oils above. I’m always so fascinated with natural remedies and that is the route I prefer to try first. Isn’t it an odd feeling when you know know more about a subject than the “professionals”? I want to correct them, but I just let it go and find other resources – haha! Yes, I agree. A lot of that is their training and not knowing how to think outside the box. Many are extremely good at what they do, they just don’t know anything about these other areas..
My grandpa, mom, me, and two of my daughters are freckled redheads. My grandpa and mom have had treatment for many cancerous skin spots. After I lost an acquaintance to skin cancer several years ago, I was thoroughly checked by a dermatologist, but I need to go back. I also prefer to start with natural resources. Thanks for this information. I’m glad I could help Michelle. It is so important to ‘listen’ to our bodies! Pay attention and follow the course that makes the most sense. Sounds like you are on the right path!